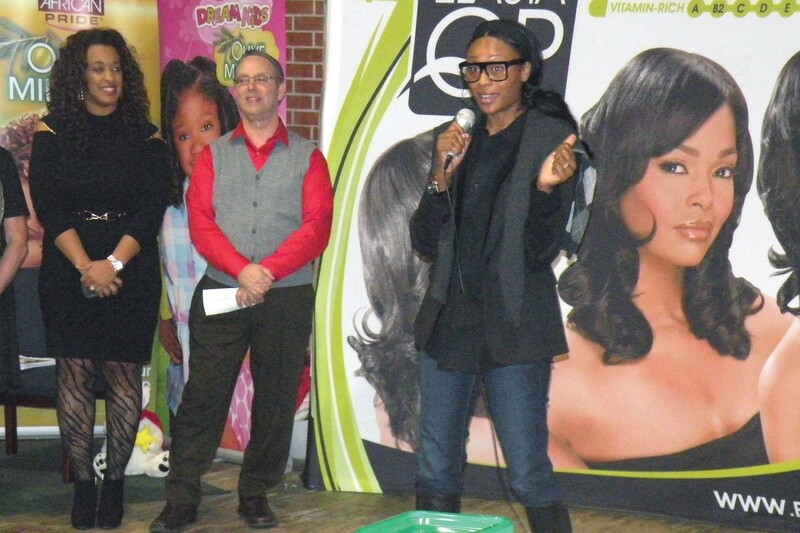 On December 6, 2012, Bravo TV’s Real Housewives of Atlanta Super Star, Cynthia Bailey, visited the Strength of Nature Headquarters in Savannah, GA during their holiday celebration. Mario de la Guardia, Sr. along with his son Mario de la Guardia, Jr. reopened the doors and established Strength of Nature Global; the same building he was president of Carson Products. The celebration featured a keynote address by the city of Savannah Proclamation holder and S.O.N. Owner, Mario de la Guardia, Sr., and Cynthia Bailey. Strength of Nature Global is the manufacturer of innovative hair care solutions that specifically address the critical hair care needs, styling, and desires for consumers of color. The company’s brands include:African Pride, ElastaQP, Soy OYL, Profectiv, Relax & Refresh, GrowthRenew,MegaGrowth, SmartPerm, and Profectiv Professional are sold primarily at beauty supply stores and leading food, drug, and discount retailers.